New Horizons is a family owned and operated business based out of Ferndale, Washington. In business since 2015, we may be fairly new but we have hired experienced professionals to provide high quality professional service to our customers. 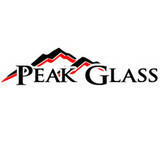 Offering window glass repair, replacement, and sealing at reasonable prices. We repair and replace windows, mirrors, and flat glass found on table tops, fireplace doors, shower doors, patio doors. glass awnings, and many more. We offer 24-hour emergency board-up service for those unexpected bumps in the night as well as evening and weekend appointments. What can a local Victoria glass company help me with? If it’s a major home glass repair or replacement, the Victoria glass company should work directly with your insurance company to help bring down costs for you, if applicable. Find Victoria glass companies on Houzz. 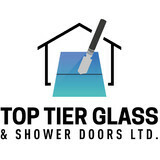 Narrow your search in the Professionals section of the website to local glass, mirror and shower door services in Victoria, BC and read reviews and ratings to find one that fits your needs.